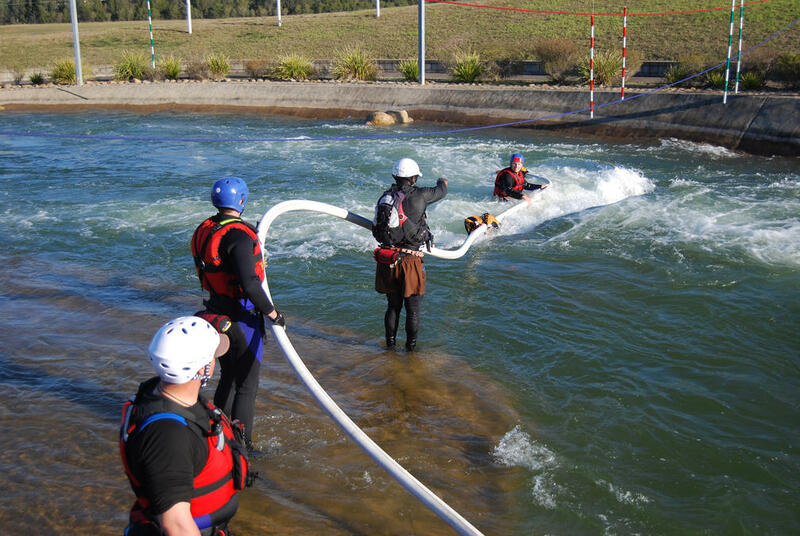 Penrith Whitewater Stadium is an ideal venue to conduct swiftwater rescue courses. The whitewater channel is very accessible and the water flow and obstacles may be varied according to the requirements of each activity. All the associated facilities such as changerooms, classrooms, Café and carpark are in close proximity. Penrith Whitewater offer courses ranging from introductory level awareness courses to the more advanced technician courses that introduce participants to information equipment and techniques that will allow them to operate with an acceptable level of safety in most swiftwater situations. A combination of classroom presentations, dry land simulations and actual practice in swiftwater are utilised to maximise learning outcomes for participants. 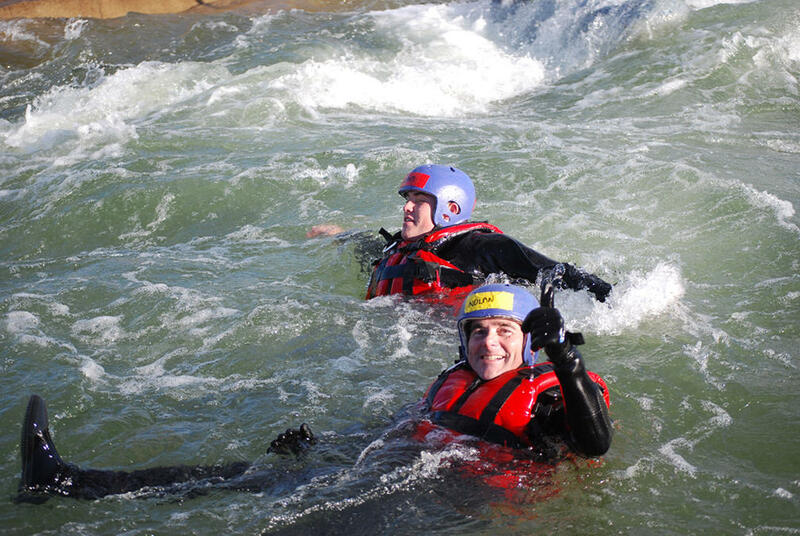 This is a one day hands on introduction to swiftwater, basic rescue equipment and techniques. The course emphasises the challenges and dangers associated with operating in and around swiftwater situations and how to stay safe. Duration: 1 day. Price: $250 per person. This is an intensive three day course designed by Rescue 3 International which builds upon the knowledge and skills gained in the Swiftwater Rescue Awareness course. Participants progress through the various stages of swiftwater rescue operations from basic individual rescues to more complex rescues and recoveries involving a team of rescuers and multiple pieces of equipment. Participants are introduced to rescue management roles and techniques. Duration: 3 days. Price: $720 per person. Duration: 1 day. Price: $600 per person. Duration: 3 days. Price: $900.00 per person. Penrith Whitewater is introducing refresher and recertification courses to maintain currency and encourage greater proficiency. A five hour refresher course is available to previous SRA participants. Duration: 3 hours. Price: $150 per person. A one day refresher course is available to previous SRT1 participants. Duration: 1 day. Price: $350 per person. A two day recertification course is available to previous SRT1 participants. Duration: 2 days. Price: $520 per person. 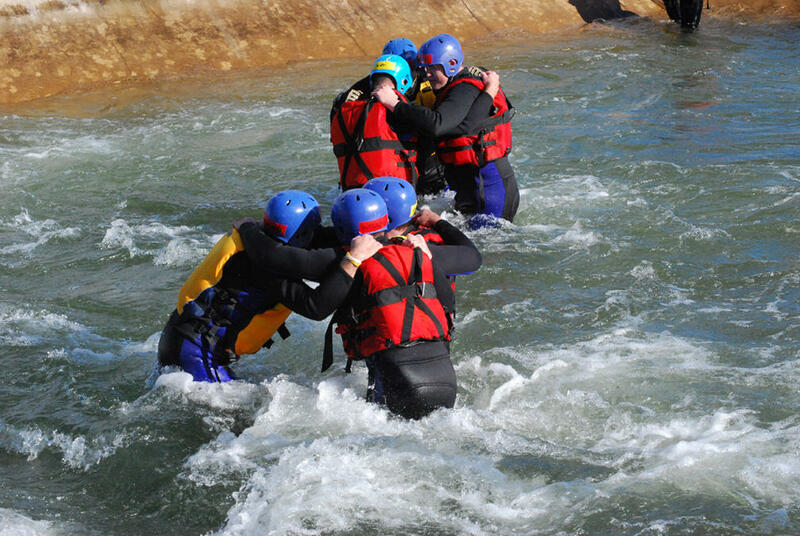 Penrith Whitewater is able to design a course according to the needs of your group or organisation. Please contact Penrith Whitewater for further details. Full payment will be required to confirm a booking at least 10 days prior to the activity date. Bookings made less than 10 days prior to the activity date will require full payment at time of booking. More than 10 days in advance of the activity date a 100% refund will apply. Less than 10 days from the activity date the 50% deposit is non-refundable. Penrith Whitewater Stadium Ltd. reserves the right to cancel or alter any activity dates and/or activity times. In these cases, you will be informed as soon as possible and every effort will be made to reschedule your activity at the earliest possible time convenient to you or we will offer a 100% refund. Please note that anyone considered by Penrith Whitewater staff to be intoxicated or adversely affected by drugs, will not be permitted to participate in any flatwater or whitewater activities. No refunds will be made under these conditions. Prior to the activity you will be required to read and sign an ‘Acceptance of Risk Agreement’ acknowledging that flatwater and whitewater activities have inherent risks and dangers beyond those normally encountered in everyday life. 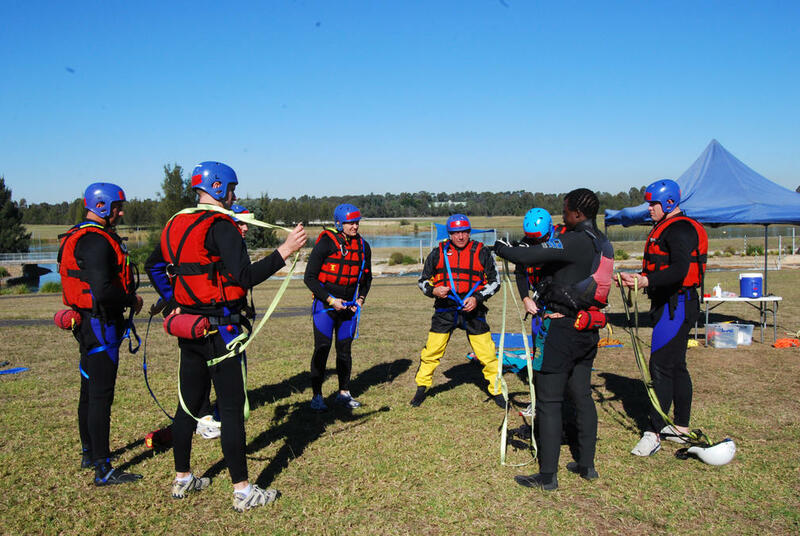 Swiftwater Rescue Instruction at Penrith Whitewater Stadium is provided and sold exclusively by Penrith Whitewater and cannot be offered for sale or resale, or resold without prior written consent of Penrith Whitewater Stadium Ltd.Penrith Whitewater is a non-smoking venue. Alcohol is restricted to certain areas by prior arrangement.